Valve's CEO suspects that Apple has as many plans for your livingroom as it did for your phone. There's no denying that Apple's products have revolutionized much of the technology we use to interact with our media. Although I can't claim to own any of said products, I can still see the effects that they've had on how I listen to music and (attempt to) browse the web on my phone. Gabe Newell, CEO of Valve, has noticed this too; only in his mind, it's led to thoughts concerning Apple's conspicious absence from the modern console market. He's worried about it, too. Speaking at the WTIA TechNW Conference in Seattle, Newell elaborated on how he sees the console market shifting in the future. "I suspect Apple will launch a living room product that redefines people's expectations really strongly and the notion of a separate console platform will disappear," he said. He went on to voice his concerns about this interconnected future and about the "closed" platforms used by both Apple and the XBLA. "They build a shiny sparkling thing that attracts users and then they control people's access to those things...I'm worried that the things that traditionally have been the source of a lot of innovation are going," he said. "Let's say you have a book business and you are charging 5 to 7 percent gross margins. You can't exist in an Apple world because they want 30 percent and they don't care that you only have 7 percent to play with." 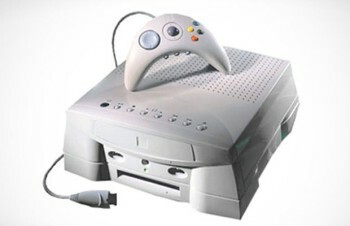 Given that a software company with almost no experience in the console games industry was able to design, launch and maintain the Xbox, the concept of Apple attempting some sort of design on the console market isn't as esoteric as it initially sounds. Apple is the company most responsible for the creation of the mobile phone gaming platform, even if it does hold the complete failure of the Pippin in its history. But regardless of whether or not Newell's suspicion holds any water, he is right to highlight the dangers posed by closed, occasionally draconian platform holders. Trust is essential in endeavors of the kind described by Newell; the only question that remains concerns how many consumers would demand it of them.